G64 – Avoid forcing users to read at very close distances. Avoid forcing users to read at very close distances. 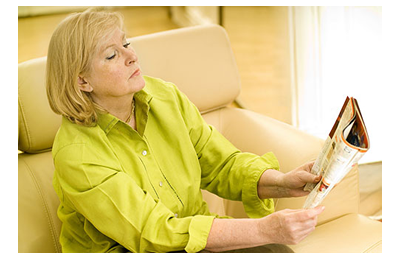 Older adults may suffer of presbyopia, characterized by a progressively diminished ability to focus on near objects. This impairment can be reduced through the use of glasses. So, for this reason do not force users to read at very close distances. An older adult with presbyopia symptoms. Cognitive, Elderly, Reading, Testing, Vision. G63 – Give them time to read. Older adults usually read more slowly (than younger adults). Give them time to read. Older adults usually read more slowly (than younger adults). In general older adults have low literacy level, so they need more time to reading than younger adults. It is important to give them time to read and interpret the information presented. For example the use of popups that disappear after certain number of seconds should be avoid, once the older adult may not have the enough time to read. 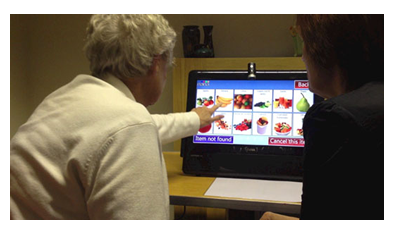 An older adult reading elements of a nutrition application in a touch-screen device. Cognitive, Elderly, Reading, Testing, Time. G53 – Don’t forget older adults did not grow up using computers, “the odds are stacked against them”. Don’t forget older adults did not grow up using computers, “the odds are stacked against them”. 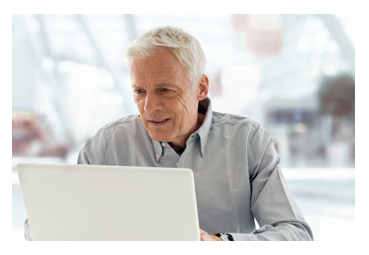 The older adults did not grown using computers, for this reason, in general they have difficulties in using them and consequently they are not familiar with many metaphors used in these systems. 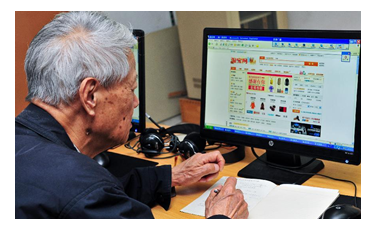 An older adult using a computer. G52 – Make use of behaviors developed by older adults to cope with memory loss. Make use of behaviors developed by older adults to cope with memory loss. Losing of memory essentially the short-term memory, implies the use of some mechanisms to remembering, for example, note-taking. The use of these mechanisms should be encouraged. An older adult taking notes during the use of a computer. G49 – Give them time to learn. Give them time to learn. The learning capability of the older adult is more slower than a young adult, due to their cognitive changes, especially in the decrease of short-term memory, responsible by human learning. 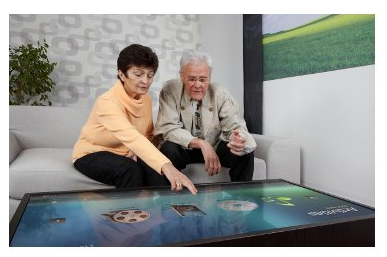 An older adult, learning how to use a multi-touch tabletop. Cognitive, Elderly, Learnability, Reading, Testing, Time. G48 – Be prepared for older adults that refuse to learn. Be prepared for older adults that refuse to learn. Sometimes older adults can refuse to learn, mentioning that the age no longer allows learning. 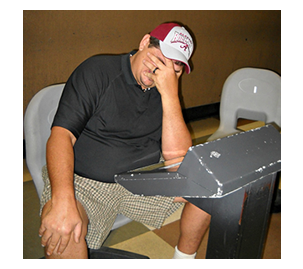 A participant refusing to learn.